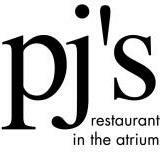 Congratulations to PJ’s Restaurant in the Atrium at the University of Guelph for ranking as one of Canada’s Greenest Restaurants for the second consecutive time! This past year has been quite eventful for the student-run restaurant as they have also achieved the Level 2 Certification from LEAF! LEAF is proud to announce our latest list of “Canada’s Greenest Restaurants“ in recognition of Earth Day, an annual day dedicated to globally celebrating Earth’s natural environment. LEAF is once again celebrating Earth Day by shining a light on Canadian restaurants that have made a commitment to be as environmentally responsible as possible. Our 2nd Annual “Canada’s Greenest Restaurants” list helps customers choose eating establishments that are doing their part to reduce the impact the restaurant industry has on the environment. With increasing pressure by the public for companies to adopt environmental and sustainable programs, restaurateurs are quickly recognizing the value in LEAF certification.As the only nationwide environmental and sustainable certification program for the Canadian Foodservice Industry, we’re looking forward to adding many more restaurants and organizations across Canada to the list in 2013. There are tremendous environmental and financial benefits to being a LEAF member, including a reduction in energy, water and waste costs. Anyone can help by visiting a LEAF certified restaurant in your area, or by asking your favourite restaurant to be greener by becoming LEAF certified! If you are around campus during the Fall 2013 semester, be sure to book a table by visiting http://www.uoguelph.ca/pjs/reservations. Posted on April 23, 2013 February 9, 2016 by abaxtPosted in PJ's, RestaurantTagged awards, certification, PJ's, Restaurant, restaurants, students, sustainability. Next Next post: Read all about it: UGSRP ‘Tipped Out?’ Forum a success!